Here's the full review of the Sony 75-300mm F/4.5-5.6, which I've been working hard on all through the holiday weekend. There's a few good points and a few not-so-good points to ponder, so settle back with all that left-over food and enjoy the review! Here's a fancy studio shot of the new Nikon D40. I'm more than likely going to review this camera if I can get one soon. Hopefully, Nikon is better about release dates than Sony, (read below) so it should be the first part of December, then a couple weeks for the full review to appear, which will naturally include a review of the "kit" lens. 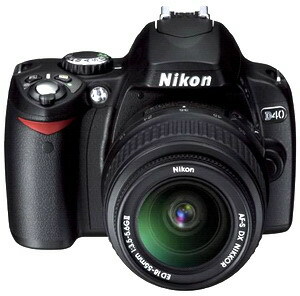 Follow the link for a product tour courtesy of Nikon, where you'll find 14 pictures of the D40. Nikon announces the new D40, a downgrade to the D50, but I think consumers will benefit in the long run, meaning excellent image quality and noise reduction, even at high ISOs for a good price. It's nice to see a company go for quality instead of quantity in this day and age. Check the quick specs below or go to the full specs page here. Before you is yet another lens I'll be reviewing soon. My limited use so far has revealed a pretty decent lens, but we won't judge it until the full review. I'd like to get my hands on the new Carl Zeiss 16-80mm but there seems to be a problem getting it to market. Sony's website said they would take orders starting Oct. 6th but now they've pulled that statement and no word period. The 75-300mm I'll review in the next couple of weeks. Update: Sony now says the Carl Zeiss 16-80mm will be available in the spring of '07, looks like Sony once again has some serious production problems. 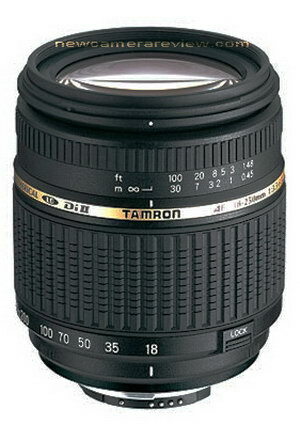 Here's a new lens from Tamron, due out in 2007; I assume early in the year. No pricing yet but most likely $500 - $600. 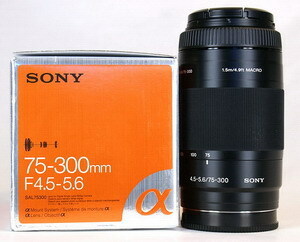 Focal length equivalent on an aps-c size sensor approximately 27mm-375mm. Compatible Mount: Canon, pentax, Samsung, Sony/maxxum and Nikon.